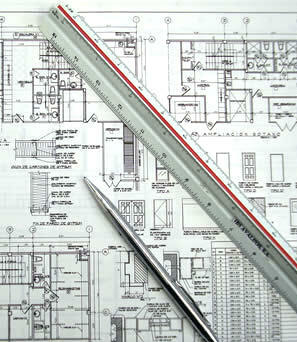 There was a time when the only way to document and control the construction of a building was to use pens or pencils and a straight edge to draw a set of two-dimensional construction drawings. These hand-drafted 2D diagrams used a combination of plans, sections, and elevations, along with a standard set of symbols, notes and details, and were drawn from the skill and experience of senior production architects and draftspersons. Later, a generation of early adopters competed in an aggressive market using computers and 2D CAD software. They laboriously clicked and dragged electronic lines across low resolution monitors, maintaining layers and page references with antiquated key commands and menus. The results of this semi-opaque production were proudly presented as ink-plotted sets of drawings using the very same 2D diagrams and symbols once drawn by their T-squared ancestors — often finished off with a mixture of last minute hand drafting. Today, many offices are moving toward the painstaking constructions of three-dimensional building information models called BIMs. 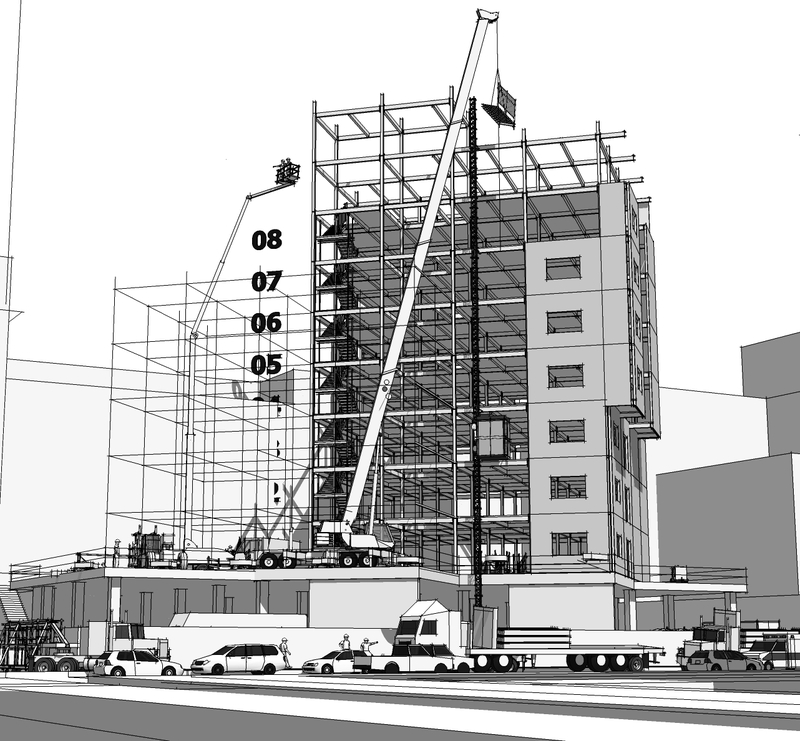 Technicians spend hundreds of hours using thousands of dialog boxes and context menus to build detailed 3D models, with no idea of how to actually build the buildings they are building. 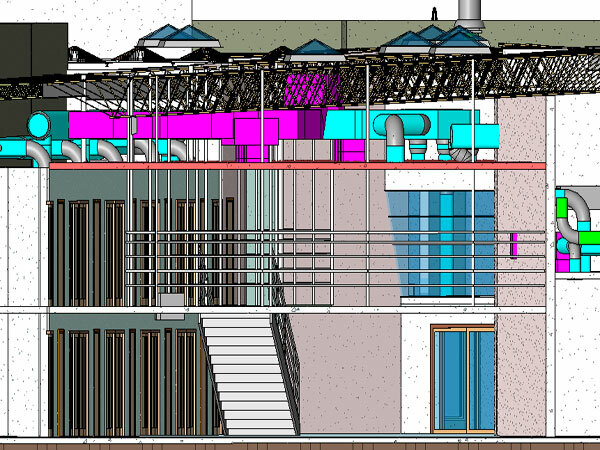 No matter, once 2D scenes are extracted from these BIM models, they are meticulously annotated so the software can “automatically” generate a set of (supposedly) conflict free two-dimensional drawings. But again, even the laser plotted results are pretty close to the same 2D diagrams once drafted by hand. Nothing is gained except for the cost of their production. The irony of course is that no matter what the technology we use, the industry wide result continues to be reduced to the same set of 2D drawings. 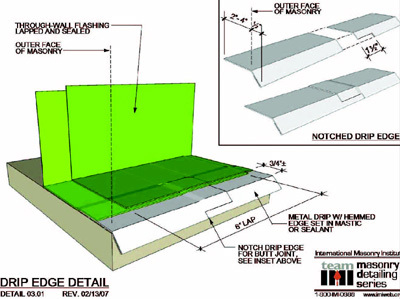 In fact, the best design technicians are the ones that can actually simulate traditional construction drawings by minimizing computer generated debris and focus output on relevant construction information. .In the end, computer mediated drafting is a lot like using an automobile to pull a horse-drawn carriage. Somehow, we’ve missed the real value of this new technology. We’re using the computer to calculate and plot the position of lines in memory, rather than using its power to document and communicate the detailed processes embedded in the configuration of those lines. And it’s the process that must be documented and controlled. What many are just beginning to recognize is an expanding network of interconnected devices emerging from a cloud of closely related software applications. These applications are part of an open-source technology that is able to deliver real time, cross referenced, and multidimensional graphic information wirelessly to the entire world — or at the very least, a team of collaborative users. For example, Wired Magazine recently interviewed Henrik Fisker who points to the kind of open-source design and production methods that are not only eroding the core products of major companies, but quickly antiquating their long-standing approaches to automobile production in a universe of suppliers willing to openly share their talents and information. Google of course is at the top of the list of companies able to see the power of this open-source idea. Free Google software like SketchUp continues to erode the boundaries of expensive and cumbersome market driven programs once considered the standards of their outdated industries. Add to Google’s efforts, the user-group expertise readily available on forums such as SketchUcation, and the full potential of this idea begins to be clear. The genius of SketchUp is that everyone can not only build a model in 3D, everyone can also use the program to communicate beyond 3D. Using the simple tools in SketchUp, and a little practice, everyone can animate an assembly in real time, simulate a process, and visually coordinate a complex sequence of events. 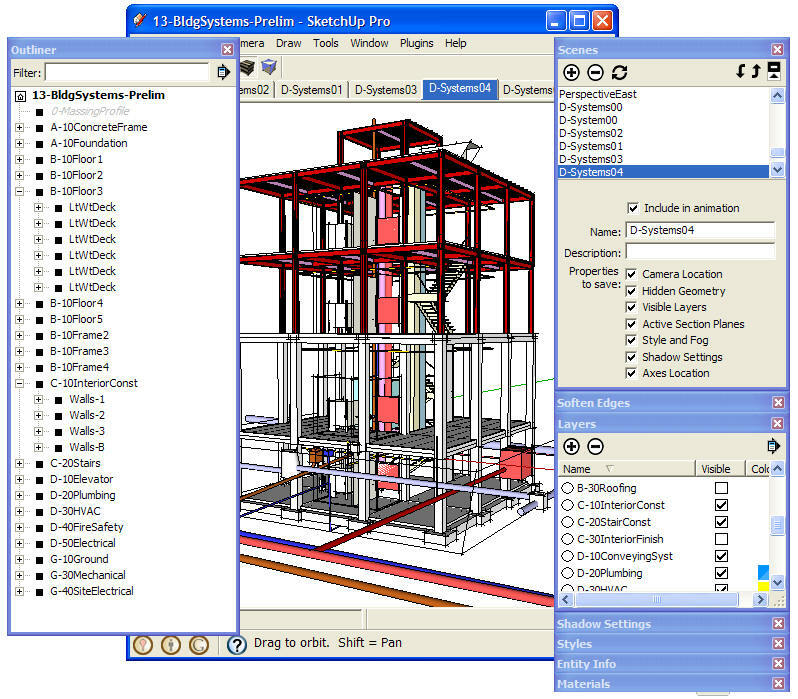 The challenge is to add SketchUp to an array of open-source software in order to publish the models documenting these processes. In other words, SketchUp and a few simple programs can be used to reinvent the static 2D construction drawings of the past, lifting us out of our two-dimensional conventions, into a world of multidimensional networked resources. There is no doubt this begins with 3D. CAD CAM tools have long produced CNC products from 3D models without even bothering with 2D drawings. 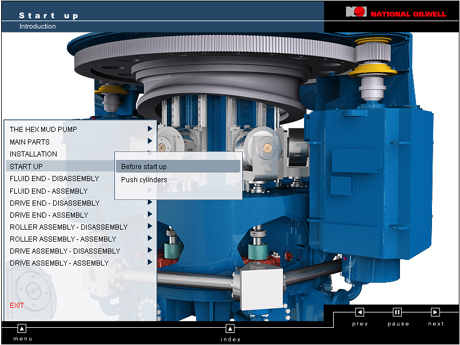 It’s now even common for CNC machines to not only access specifications on the internet in real-time, but also to automatically update their software from global suppliers. The construction process is of course more complex, but not because it has a lot of interrelated contractors and skill sets that need to be identified and coordinated in 3D. The complexity of construction is that these pieces come together over time. There is a process or sequence to an assembly that must be captured by this new approach to a contract document. Creating such a document was once impossible because there were no tools to clearly capture a process without eventually resorting to static 2D publications. But new tools are now not only readily available on the web; almost all of them are absolutely free. All that is necessary is to connect the dots. As an example, take a look at the research we’re posting to the ePubs link on our website. The visual structure of the tutorials is changing daily, but they build on the lessons we’ve learned in the multimedia research originally published in each of our books. 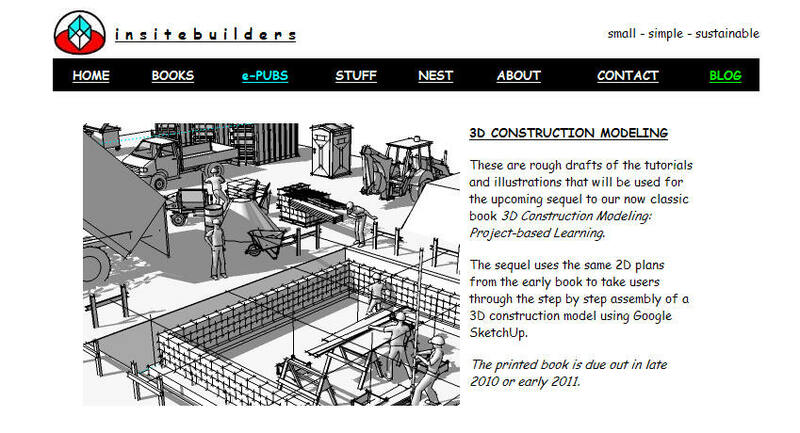 These tutorials will be published online as an upgrade to our classic book of 3D Construction Modeling later this year. Important is that the tools available in SketchUp are not programming accidents. They are conscious inventions, put there by the original @Last programmers. At the same time, the animators, video and screen capture programs, and forums scattered across the web are no secret to their open-source users. They only remain to be recognized for their potential for construction process documentation and applied to the real-world.